More than six years after Superstorm Sandy inundated the Brooklyn neighborhood of Red Hook with nearly six feet of floodwater, a local resident walks through the main thoroughfare, lined with scaffolding and chain-link fences, of the Red Hook Houses—one of the largest public-housing developments in New York City. 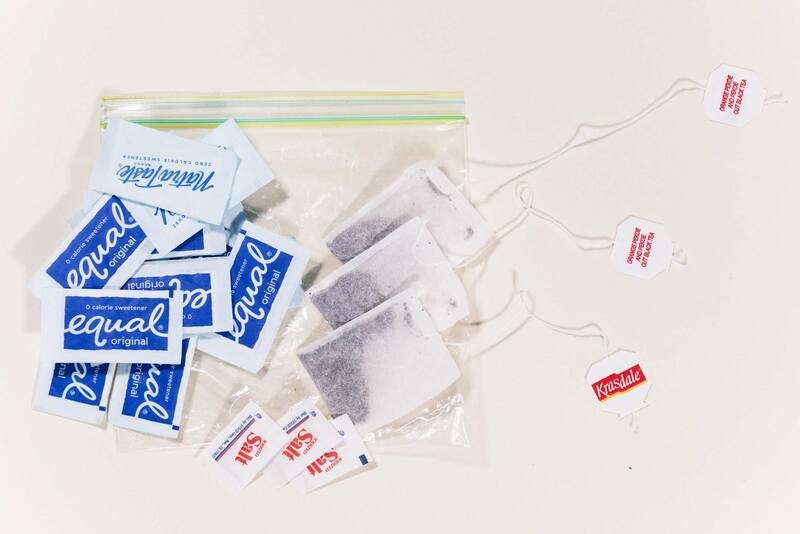 This article is by Sophie Kasakove, with photography by Tracie Williams. Tevina Willis, a Local Leaders facilitator, says that the first question she asks at an orientation is, “Where were you during Hurricane Sandy?” If people hesitate to answer, she’ll start with her own story—of how she and her neighbors ran up and down the stairs carrying giant cases of water, worked together to collect information about available resources, and played games late at night by candlelight when they were too anxious to sleep. She likes asking this question first, because it gets people who might not know each other to open up. But more than that, it gets people thinking about another set of questions—about what work they’ve already done to help their neighbors during moments of crisis and about the structural deficiencies in public housing that make this work necessary in the first place. 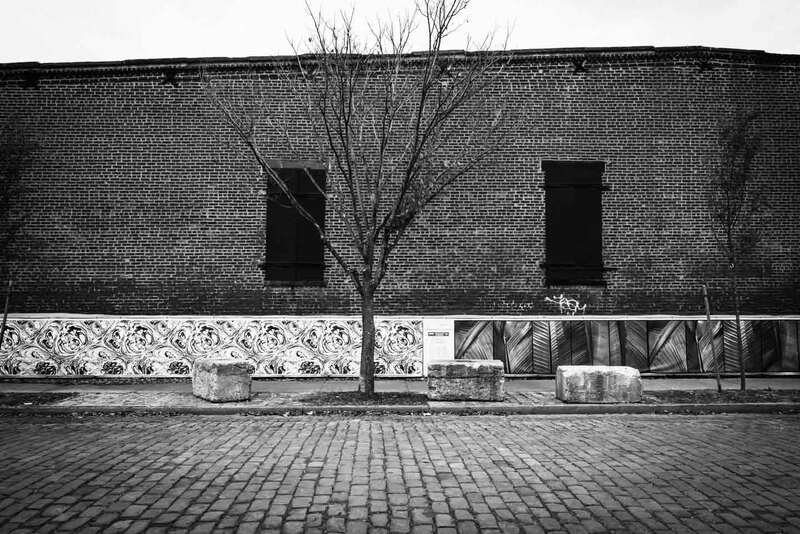 Willis was no stranger to storms when she moved into Red Hook Houses 10 years ago. She grew up in Coney Island, where hurricanes were a regular occurrence and didn’t faze her family, who would just tape paper to the windows and go on with their day. So when she received an evacuation order from the city on October 28, 2012, the day before Superstorm Sandy hit New York, she, like the large majority of people in the city’s evacuation zones, ignored it. But when the storm began sweeping over the city, she realized this wasn’t just another storm. 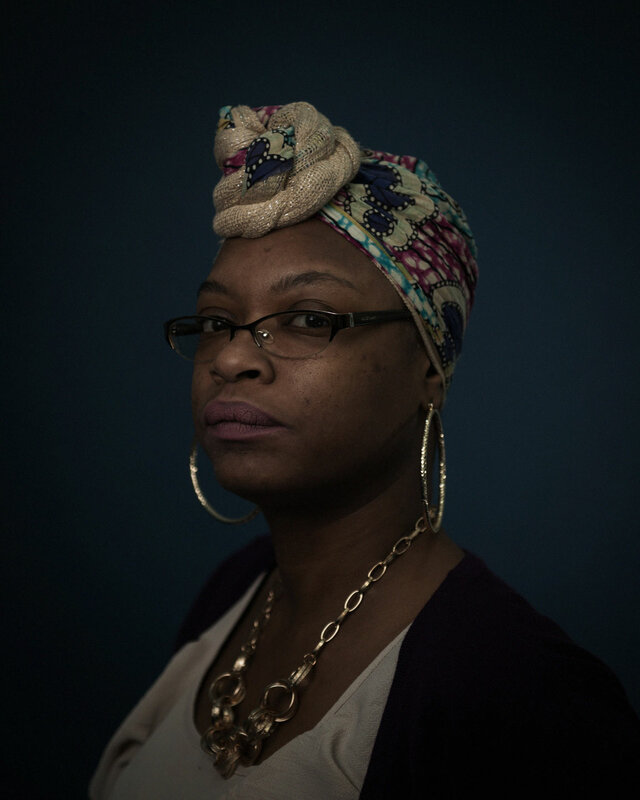 All of the lights in her 14-floor building went out, the elevator froze, the heat shut off. She gathered blankets for warmth, as a refrigerator’s worth of food started to spoil. The storm was more intense than residents had expected, but more importantly, they were more on their own than they had expected. “No one knocked to see if any of their tenants were okay,” Willis recalls. 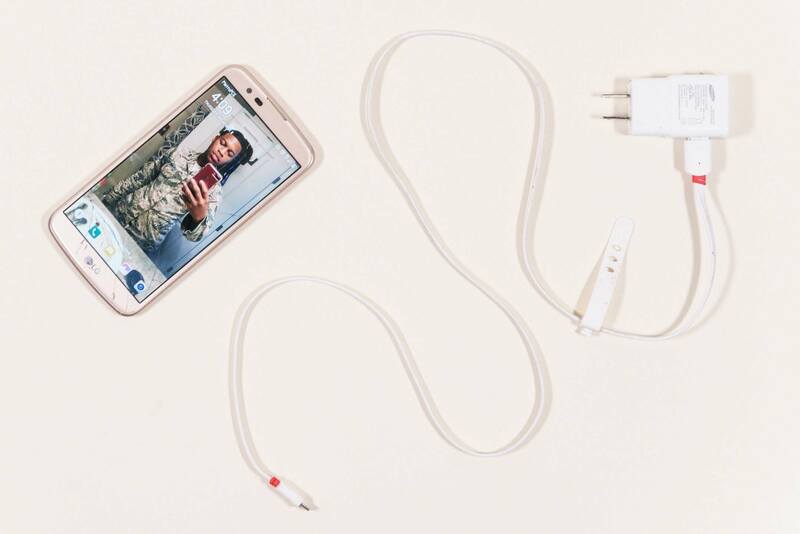 Tevina Willis’s “Emergency Go Bag” includes her phone—which has a photo of her 20-year-old son Massiah in his Air Force fatigues as its background—a charger, and toys for her 2-year-old daughter, Mi’kenya. As the Wifi coordinator for RHI, Willis needs her phone to manage and moderate the community’s online public communication system, Red Hook Hub. Sandy was the strongest storm to hit the New York metropolitan area in decades, and the climate-disrupting effects of global warming are making it just a matter of time before the region suffers more powerful and more damaging storms. Sandy caused at least $19 billion worth of damage across the city, and highlighted the fact that in one of the most unequal cities in the country, the ability to adapt to climate change closely tracks income. For some of the city’s poorest residents, those who live in public housing, the infrastructure improvements, safety protocols, and community coordination needed to ride out climate change’s greatest hazards are still not there. As the city struggles to learn from Sandy, and create resilient, sustainable public housing, residents fear that the next storm may come too soon. Red Hook WiFi, an RHI project that provides free and reliable internet access to Red Hook residents, is currently installing wireless transmitters and solar panels on roofs throughout the neighborhood to enable residents to stay connected and updated in the event of another Sandy. 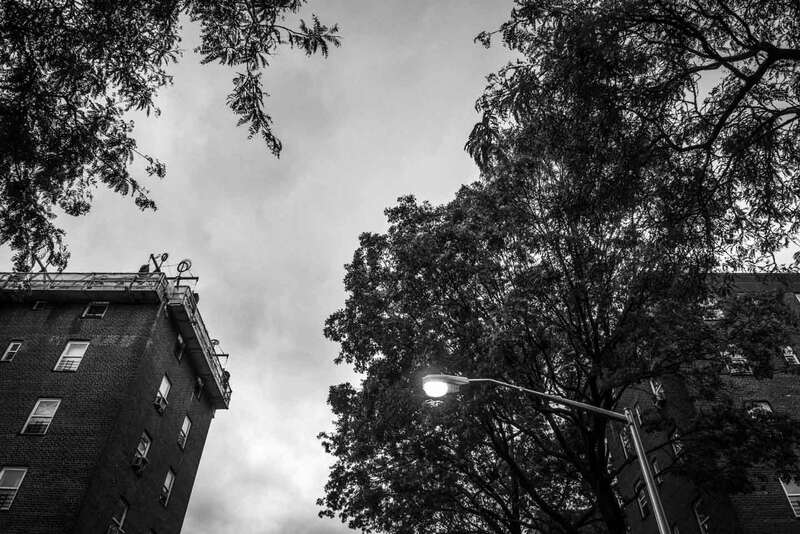 A $63 million project is currently underway replacing all 28 roofs at the Red Hook Houses— according to NYCHA, the new roofs will be more resilient than the current ones. Construction began last September, and is the first stage of a series of upgrades that will also provide new boilers and backup generators. NYCHA is the largest public-housing authority in the country, with more than 400,000 residents living in over 300 developments across the city. The system was strained long before Sandy—NYCHA has suffered a $3 billion loss in federal funding since 2001, and a study of NYCHA’s needs conducted in 2011, the year before Sandy, estimated that the agency needed $16.6 billion to carry out repairs and renovations to its properties over the next five years. According to NYCHA, more than 280,000 repairs were needed citywide that year, with an average of eight pending work orders per apartment—estimated at an average of $2,900 per unit. Floodlights like these, which run on generators, were used to illuminate Red Hook during the electrical outages following Superstorm Sandy. They continue to be used at Red Hook Houses, now for policing. Located on the corner of Mill Street and Dwight Street, this structure, which serves as an office and utility shed, has been a fixture of the Red Hook Houses since the first temporary boilers were installed about a month after Sandy flooded the complex’s old boilers. 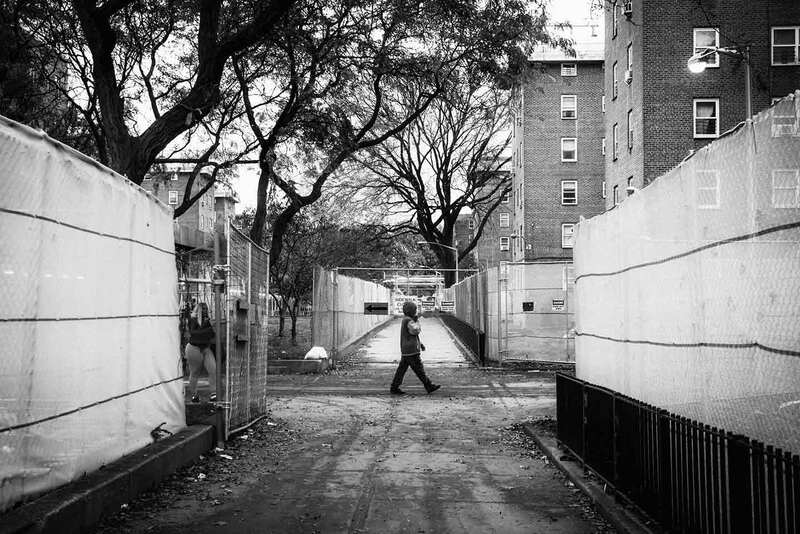 From the beginning, Sandy’s impacts were disproportionately felt by public-housing residents: In 2012, New York City Housing Authority buildings were home to approximately 5 percent of the city’s population, but NYCHA buildings sustained more than 15 percent of the damages citywide. In total, approximately 80,000 residents in several hundred NYCHA buildings lost basic services like electricity, hot water, and elevators, many for weeks on end. In Brooklyn in the 1930s, this “out of sight, out of mind” logic dictated the isolation of public-housing residents in the poor, low-lying, water-locked neighborhood of Red Hook. 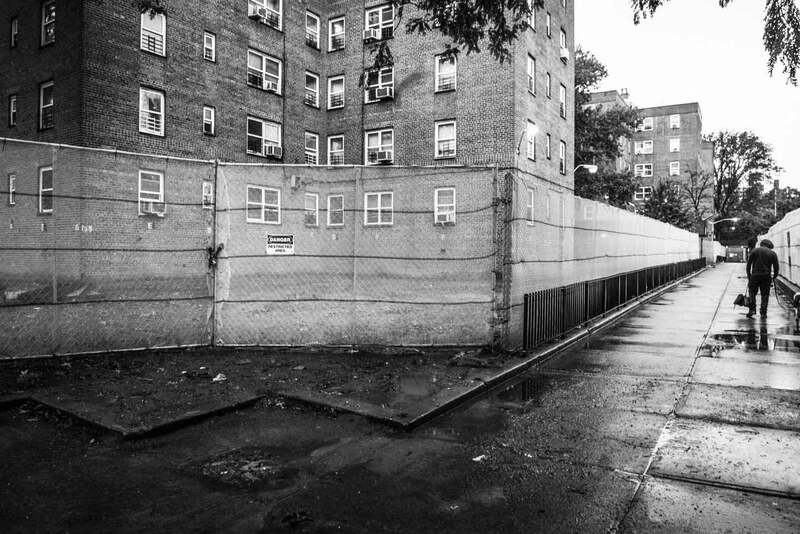 Today, with 6,000 public-housing residents constituting close to 70 percent of its population, the neighborhood is known across the city as the casualty of perhaps one of Robert Moses’s most flagrant urban incisions: Since the completion of the Brooklyn-Queens Expressway in the 1950s, the neighborhood has been cut off from public transportation, grocery stores, and other services. But Hurricane Sandy revealed a vulnerability on the neighborhood’s other borders. Because the area on which Red Hook is built is largely man-made out of landfills on top of marshy land and tidal ponds, the surge swiftly submerged the neighborhood with up to six feet of water and exposed a number of NYCHA inadequacies lying just beneath the surface. 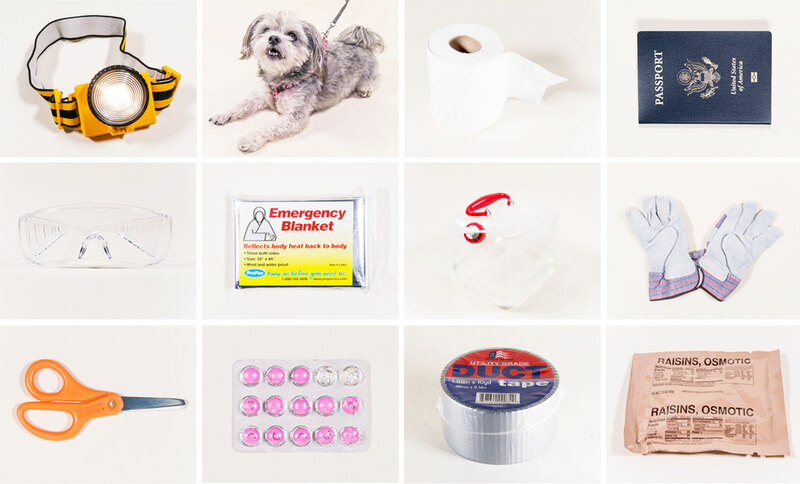 In the aftermath of Sandy, the city was abuzz with disaster-preparedness plans. There was talk of building massive seawalls, levees, and floodgates, developing wetlands on the tip of Manhattan to absorb storm surge, installing oyster beds or barrier islands in New York Harbor. In Red Hook, a plan to install floodwalls, raise streets, and improve drainage—called the Integrated Flood Protection System (IFPS)—was initially projected to be completed by 2016. But, years later, little action has been taken to bring these proposals off the paper. The federal government agreed in 2014 to pay $335 million for the first phase of the “Big U”—a proposed 10-mile barrier extending around the southern half of Manhattan—but the project’s scope and other funding sources remain uncertain. Instead of the IFPS project, a temporary barrier of sandbags and tubes has been installed along Red Hook’s lowest-lying street, tall enough to protect from only the mildest of coastal storm surges. “We were very skeptical when we saw the sandbags,” said Karen Blondel, an organizer with Fifth Avenue Committee, which provides support and services to low-income residents of South Brooklyn, and a resident of Red Hook Houses. Just the other week, she says, she took a walk over to the temporary barriers on Beard Street, and found the street filled with water, after heavy rainfall the previous night. 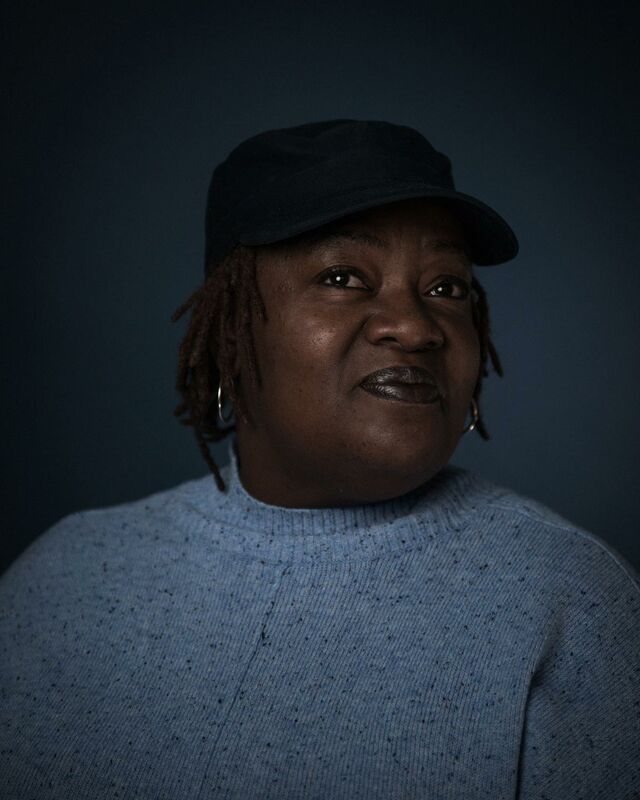 Karen Blondel has lived in the Red Hook Houses for 36 years, and has been involved in community organizing since the early 1990s. Although skeptical of RHI at first, she was impressed with the Local Leaders program, and “fell in love with the fact that they were engaging young people.” Blondel now facilitates the Community Organizing, Political Education and Climate Justice component of the Local Leader training. At the same time as the neighborhood- and citywide plans remain obscure, a cloud of skepticism also hangs over NYCHA’s ability to prepare its properties and residents for storm surges and other climate-related events. A 2015 audit report of NYCHA by the New York City comptroller found a number of significant flaws in the agency’s emergency-response plan, including that NYCHA’s Emergency Procedures Manual did not “properly define the emergency management leadership” and that the agency was not complying with certain requirements, like maintaining accurate information on disabled tenants. 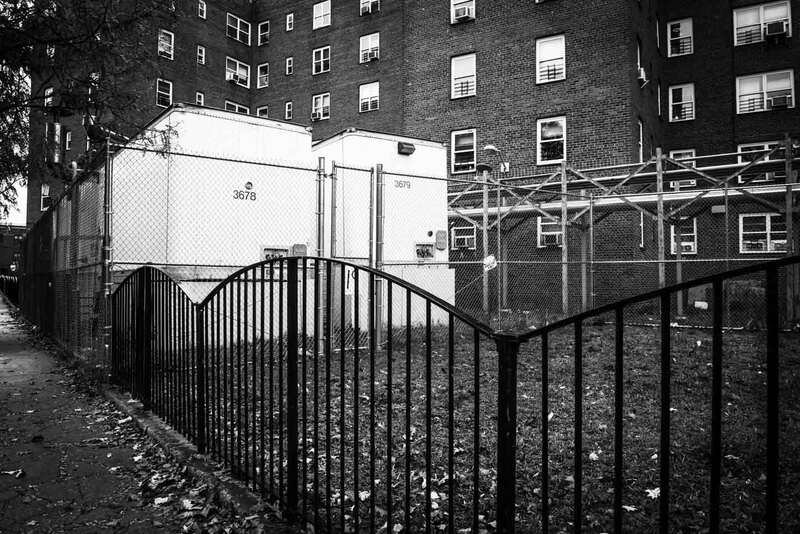 NYCHA’s response to the report did little to build faith in the agency’s ability to learn from its mistakes. The agency stated: “We have enhanced our emergency management programs to plan for, manage and recovery [sic] from major disasters,” and claimed that “the findings and recommendations miss significant improvements NYCHA has made in relation to its emergency preparedness and response,” because of the time frame of the audit. In particular, the agency cited the creation of new plans and procedures for emergencies under the Office of Emergency Preparedness, established in June 2014. 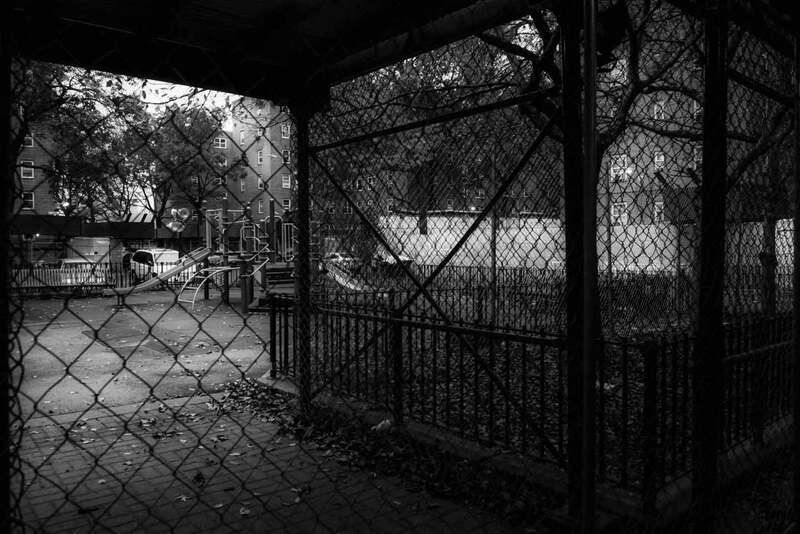 Scaffolding and chain-link fences block access to a community playground while construction is carried out on the roofs of Red Hook Houses. According to residents, this area has been closed off since construction began in late 2017. A staging area and office for construction teams near Center Mall in the Red Hook Houses. Because the boilers were located in the basements of the Red Hook Houses, they were completely destroyed when Sandy flooded the utility rooms. These replacement, temporary boilers have been on Dwight Street since 2014. Despite the fact that the auditing period extended eight months after OEP’s creation, NYCHA did not provide the comptroller’s office with these plans and procedures until a year and a half after the office was created. 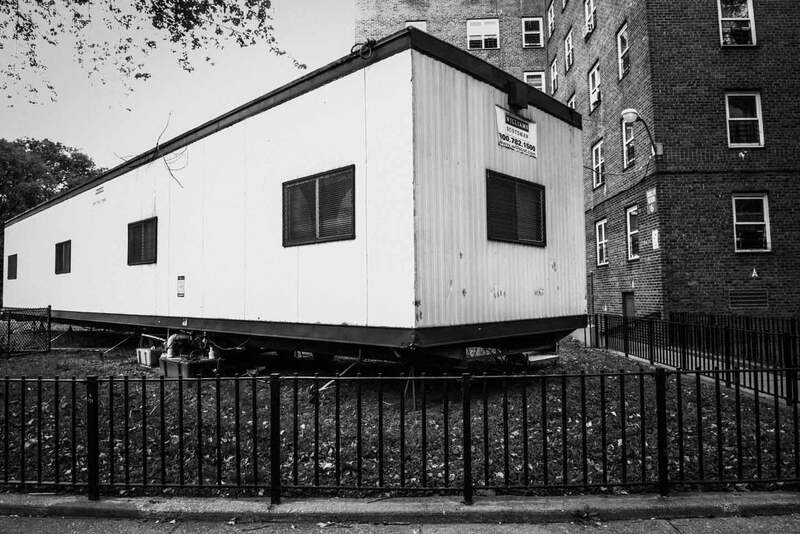 According to the comptroller’s report: “we are concerned that these plans and procedures were only very recently created and therefore they may not have the depth and consideration necessary to be effective.” In a November 2016 progress update sent to the comptroller’s office and obtained by The Nation, NYCHA said that it was in the process of rewriting its Organization for Emergencies section of its Emergency Procedures Manual, which would define the responsibilities of the agency’s leadership and employees during an emergency. The estimated completion for the document was set for the following month, December 2016, but NYCHA hasn’t provided the comptroller’s office nor tenant-advocacy groups like Red Hook Initiative or Fifth Avenue Committee with an updated version. The Nation’s request to NYCHA for this document did not receive a response at time of publication. The agency’s hurricane-emergencies section of this document hasn’t been updated since 2013. Its heat-emergency section hasn’t been updated since 2005, despite the fact that more than half of NYCHA residents live in the city’s most heat-vulnerable neighborhoods, and that less than half of units have air-conditioning. A semi-permanent four-foot-high flood barrier, made of sturdy green fabric and filled with dirt, lines Beard Street. Red Hook was submerged under almost six feet of water during Sandy, and predictions estimate the next storm could bring over 10 feet of floodwater. 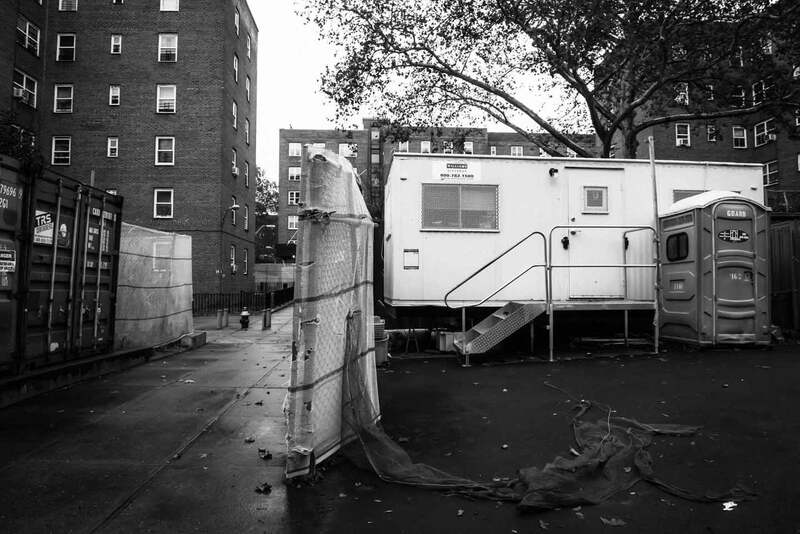 Fifth Avenue Committee has consistently reached out to NYCHA requesting updated emergency protocols, to no avail. According to Sabine Aronowsky, community-development-program manager at Fifth Avenue Committee, the lack of clear emergency plans has continued to pose serious threats to residents’ safety. Last winter, thousands of public-housing residents across the city suffered through the city’s coldest week on recent record without heat. In Red Hook, the outages were the fault of inadequate temporary boilers that have serviced the developments since Sandy. Aronowsky says that there was no mechanism for residents to report heat outages beyond putting in a standard repair ticket, and residents had no way of knowing whether the ticket would be prioritized in the queue. In an October 2018 letter to NYCHA’s Committee on Public Housing Oversight, Fifth Avenue Committee wrote that the wait time on the central call-center help line during the cold snap was over 20 minutes, and that many residents were automatically disconnected before speaking with a NYCHA representative. “It really brought to light that public-housing residents and NYCHA were no better prepared than during Sandy,” said Aronowsky. 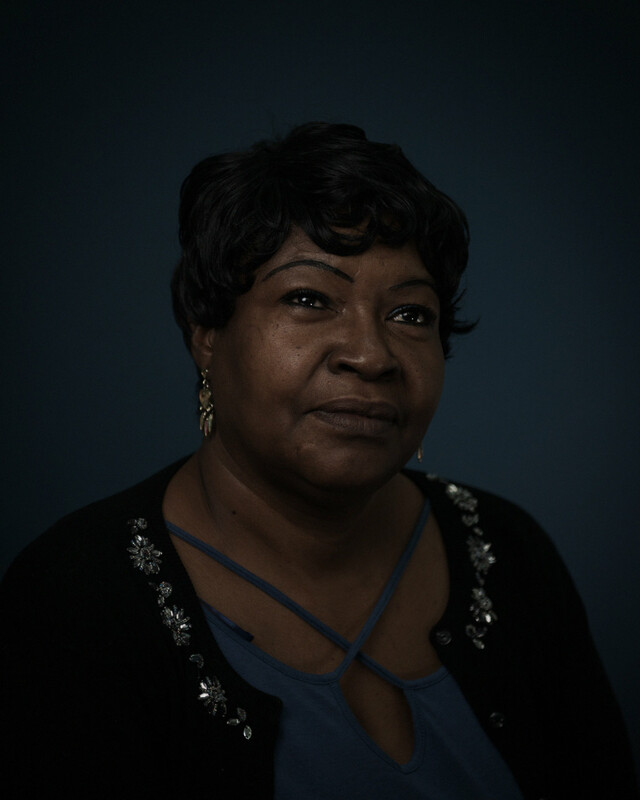 “It seemed like not only were we equally unprepared, but systems were breaking down even further.” Earlier this month, on Martin Luther King Jr. Day—the coldest day of the season so far—over 10,000 NYCHA residents lost heat, hot water, or both. 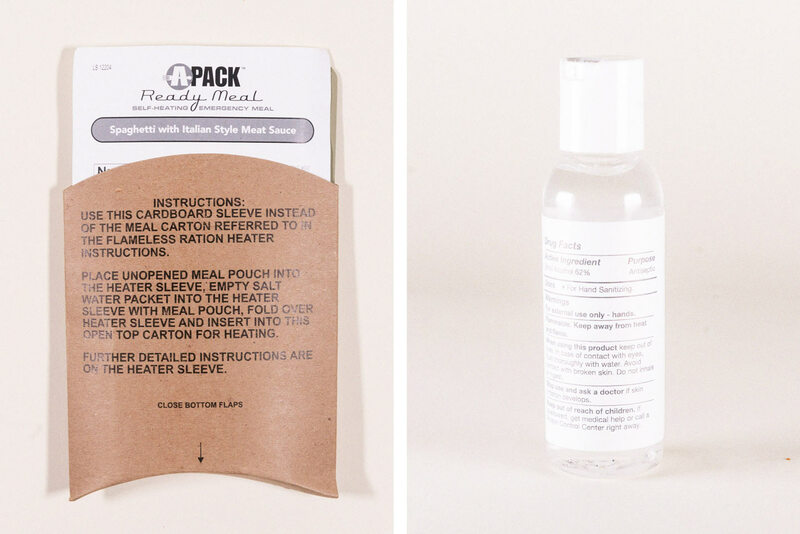 In the “Emergency Go Bags” of Red Hook Houses residents. Progress has been slightly more tangible in the realm of infrastructure. The devastating impact of the storm on NYCHA housing prompted the Federal Emergency Management Agency (FEMA) to dedicate $3.2 billion to the crumbling agency in 2015—the largest grant in FEMA’s history. Out of the 219 buildings to receive funds—which are required to go to post-Sandy recovery, not general maintenance—Red Hook was promised the largest sum: $560 million. 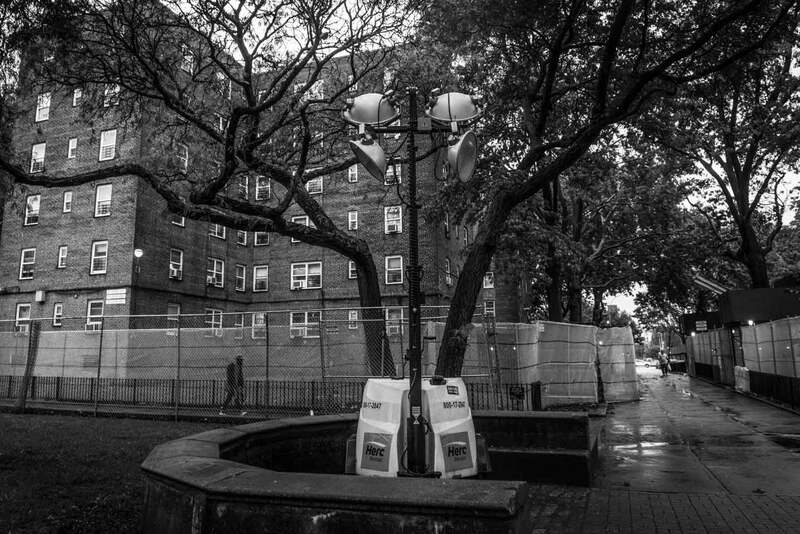 With the money, the agency plans to install flood-proof doors to protect building entrances, add a new energy-efficient boiler system, raise generators above flood level, and even to elevate the common space between buildings—a design the agency calls “lily pads.” NYCHA broke ground on the first phase of the project in 2017—a $63 million project to install new roofs on all 28 buildings that will insulate the buildings from extreme cold and heat and protect against leaks. “I don’t have any children to worry about. 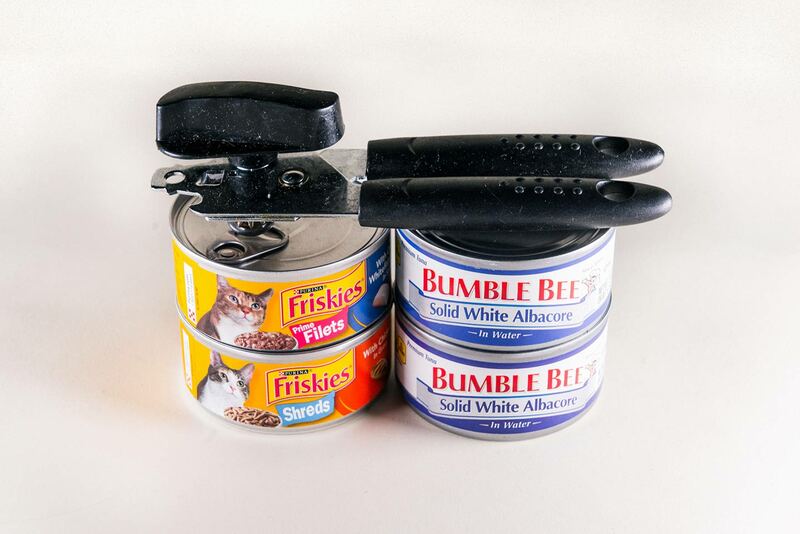 I need one bag and a carrier for my cat, ‘Lil Baby.’” Among the items in Bernelle Mitchell’s “Emergency Go Bag” are a can opener, cans of tuna for her, and cat food for her oversized Orange Tabby. But because of budgetary restrictions, the expected date of completion for the project has already been pushed back, from the 2021 date announced at the beginning of 2017 to 2022. The same is true in developments across the city: Of the 33 developments receiving FEMA funding post-Sandy, construction has been completed on only one. Willis, of the RHI Local Leaders program, says that the delays are disheartening. “In the beginning there was more of a sense of urgency. But we’ve been hearing this for over five years now.… People are tired of being lied to, of [having] their time being wasted with these promises of things being done and things that will come that are never coming,” she said. But she doesn’t find the delays surprising. “The city can say, ‘Oh, it’s slow ’cause it’s bureaucracy.’ But, no, they’re bullshitting, [it’s] ’cause it’s public housing.” The proof can be found, she says, in new luxury developments that have popped up rapid-fire across the neighborhood since Sandy—built on platforms to withstand flooding. “What I’d like [is] for the real work that can prevent us from flooding to begin,” Willis said. She knows that the clock is ticking: NYC could face Sandy-like floods every five years by 2045. At the same time, many Red Hook Houses residents feel that the planned projects, even when completed, would leave major issues unaddressed. At an update meeting in October with NYCHA’s Recovery and Resilience Department, residents took the mic one after the other to voice concerns about the issues affecting their lives on sunny days, too: unreliable lights and elevators, leaky pipes, and mold. A 2014 survey of NYCHA residents in primary flood zones conducted by several local environmental justice-organizations found that 40 percent of respondents had a new repair need in their apartment as a result of Sandy. Forty-five percent of respondents said that they had visible mold in their apartment after Sandy, compared with 34 percent who said they had mold in their apartment prior to Sandy. Of those who reported having mold in their apartment, 38 percent said that NYCHA had done nothing to address the problem. Juana Narvaez realized quickly that help wasn’t coming, and she didn’t waste a minute. 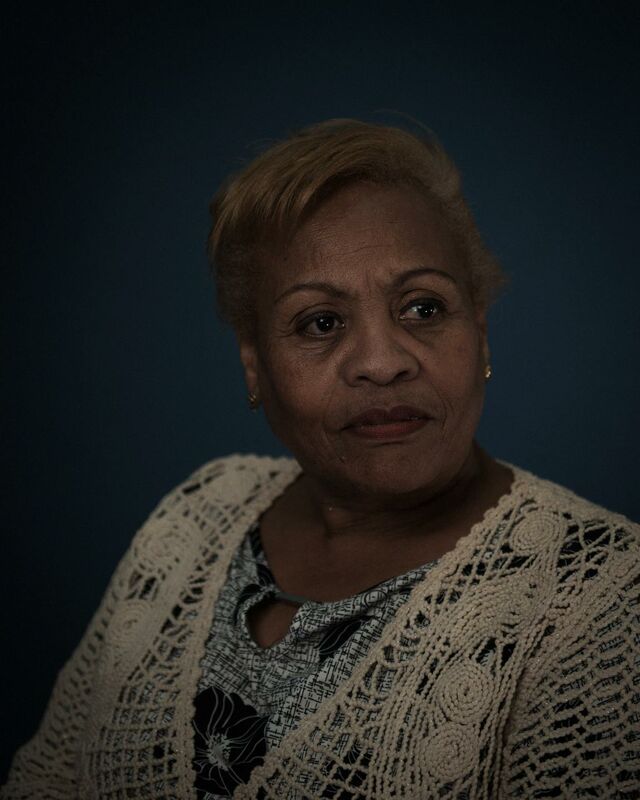 As soon as Sandy hit, Narvaez—who grew up in Puerto Rico and moved to Red Hook 42 years ago, when she was 23—was on her feet, running up and down the stairs of her six-floor building and door to door, asking people if they needed anything. She took care of an elderly woman in a wheelchair who was stranded in her apartment and gathered food from volunteers at a nearby church to distribute to her neighbors. After the chaos settled, though, residents began wondering how they could move beyond improvisation. 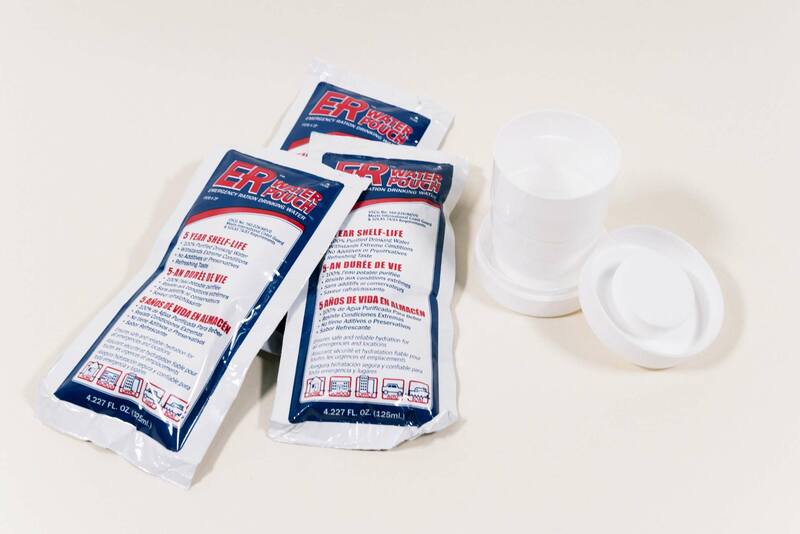 “After sitting there without heat, hot water, electricity or working elevators for 29 days, I wanted to know what we could do to be prepared,” said Willis. 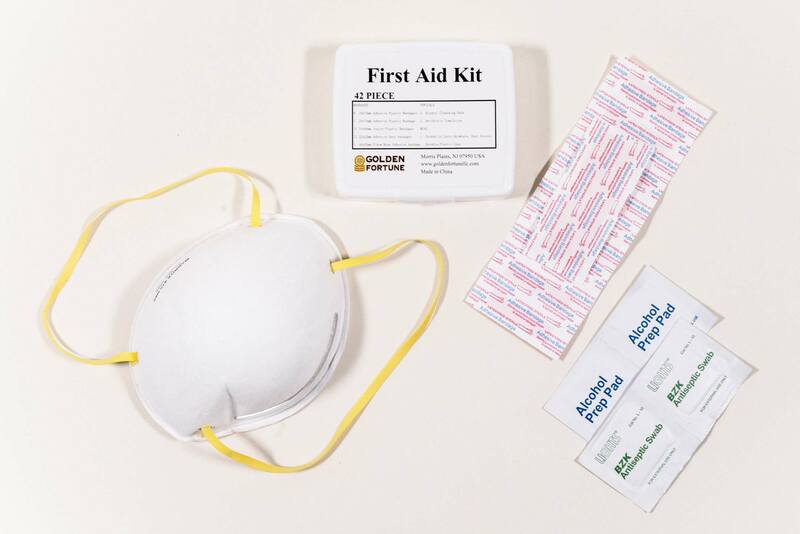 So, in 2014, Red Hook Initiative, which had become a hub for volunteers from all over the city during Sandy, launched a training program for residents to learn emergency-preparedness and community-organizing skills. So far, nearly 250 public-housing residents have gone through the 10-week Local Leaders course, and now graduates of the first class have begun serving as trainers themselves. The influx of volunteers and donations immediately after Sandy hit “made me feel loved,” recalls Yolanda Diaz, a resident of Red Hook Houses for 41 years and a facilitator of the Spanish-language Local Leaders program: ”We weren’t abandoned.” She now volunteers at the Senior Center with her friend of 35 years, Juana Narvaez—they are preparing for a Fake Wedding the day after Valentine’s Day. Graduates of the Local Leaders program are under no illusions that they can take responsibility for all of the necessary fixes: removing mold from crumbling walls, coordinating the evacuation of thousands of residents, keeping track of the medical needs of those who remain in their apartments. But they do know that they can’t just wait around for NYCHA to make improvements. “It won’t happen in five years, maybe in 20. 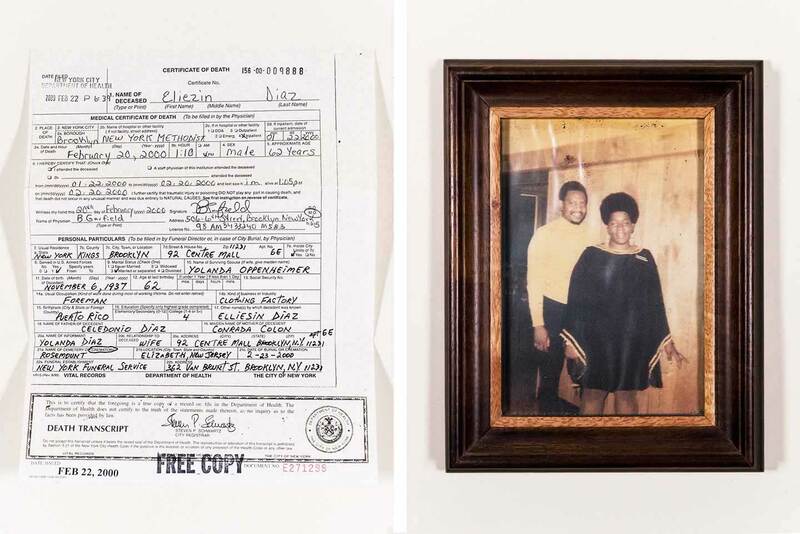 Probably I won’t see it, but the next generation will,” says Yolanda Diaz, a resident of Red Hook Houses, who moved to New York from Puerto Rico 41 years ago.